Africa has become a playground for foreign investors. With new resource discoveries across the continent together with the World Bank and the IMF's Structural Adjustment Programs, governments started selling off land to multinational companies promising to bring development to the people. But often these investments have shown to come at the severe expense of indigenous communities. Cameroon and Sierra Leone are two of the ten countries the Belgian company Socfin is operating large scale oil palm operations. Th multinational has plantations all over the world which have caused serious conflict between the company and local populations. In the heart of our research was a pan-West African alliance of farmers who was formed in opposition to the company and started rising up against their large scale land acquisitions. Unlike other land-grabbing issues this is not the typical good-guy-bad-guy story. This movement of farmers, which started in Cameroon and expanded into Sierra Leone, Liberia, Côte d'Ivoire and Cambodia, has the potential to become a landmark model for future sustainable and responsible foreign agro-investments throughout Africa. 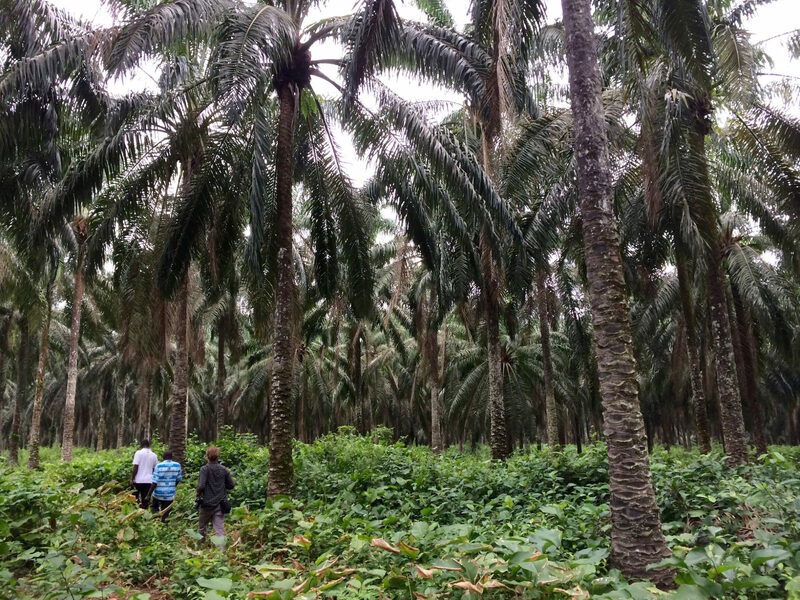 Knowing about the significance of the development of their palm oil sector, the indigenous people are not looking to chase the company out. They are seeking a win-win-solution with the investor in which they have a say and share the profits made from the precious soil they give away. It is a story with multiple layers that include not only the land conflict on the surface, but the impact of globalisation and how rural communities in Africa are being turned upside down through foreign companies. They come in, corrupt traditional leaders and authorities, take over land and promise to bring "development". The project took us to the villages within and around Socfin's plantations, we met community leaders, government officials and company representatives in an attempt to give everyone a voice, listen to all sides and show that this challenging economic triangle can have a long lasting impact on African communities.